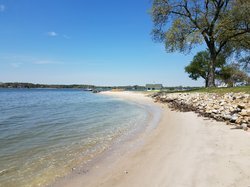 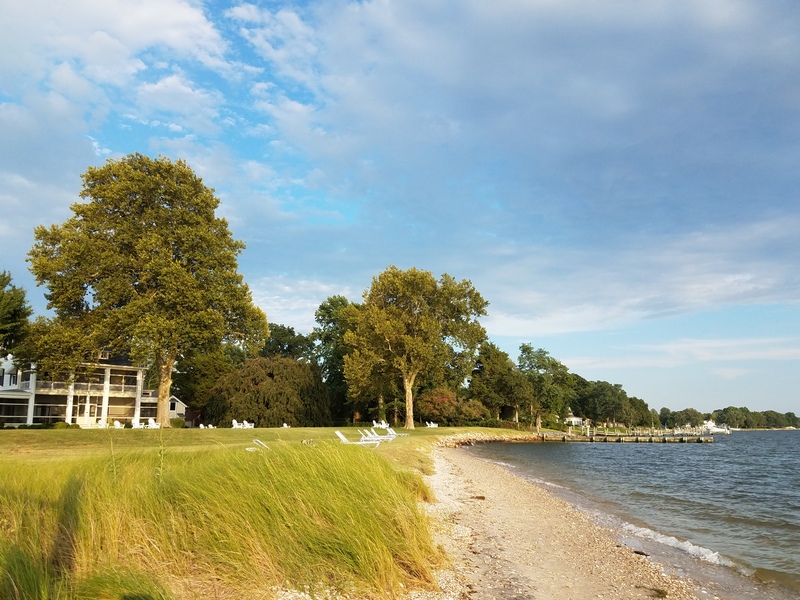 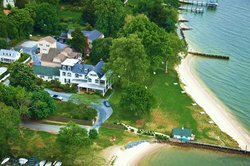 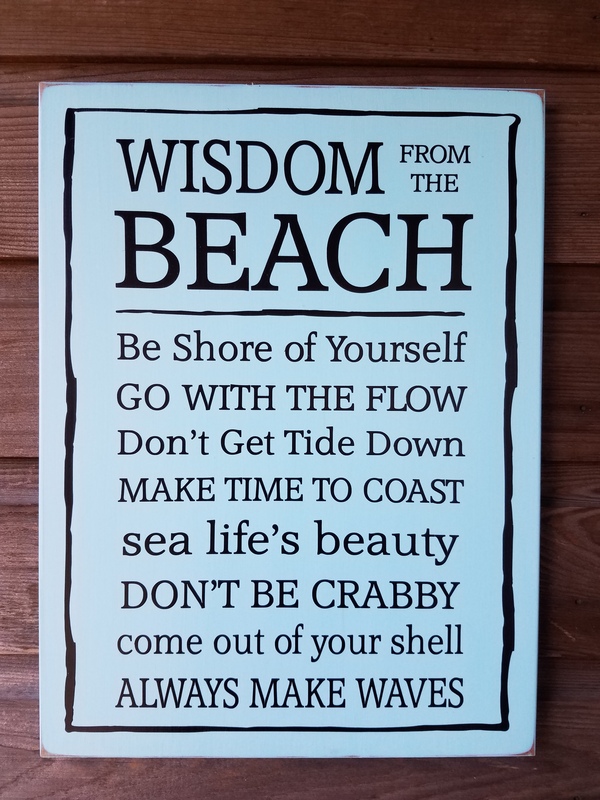 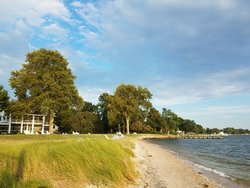 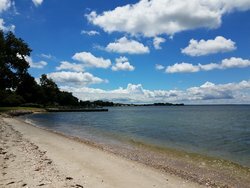 Sandaway Suites & Beach invites you for a romantic stay at our charming B&B offering gorgeous views of the Chesapeake Bay and a private sandy beach meant for you. A waterfront property with a sandy beach to accompany its blue waters, Sandaway Suites & Beach offers an authentic beach experience complete with sunbathing, seashells, and seaglass. 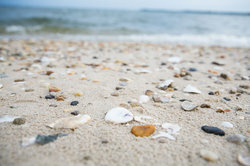 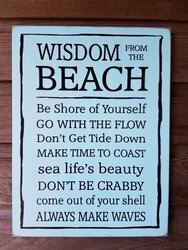 Take advantage of having a beach as your backyard, by searching the white sands for mesmerizing seaglass and seashells that will be great gifts for loved ones. 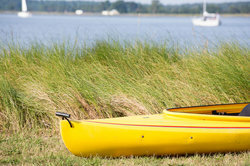 Kayak rentals at Dockside Boat Rentals is a popular choice for hotel guests. 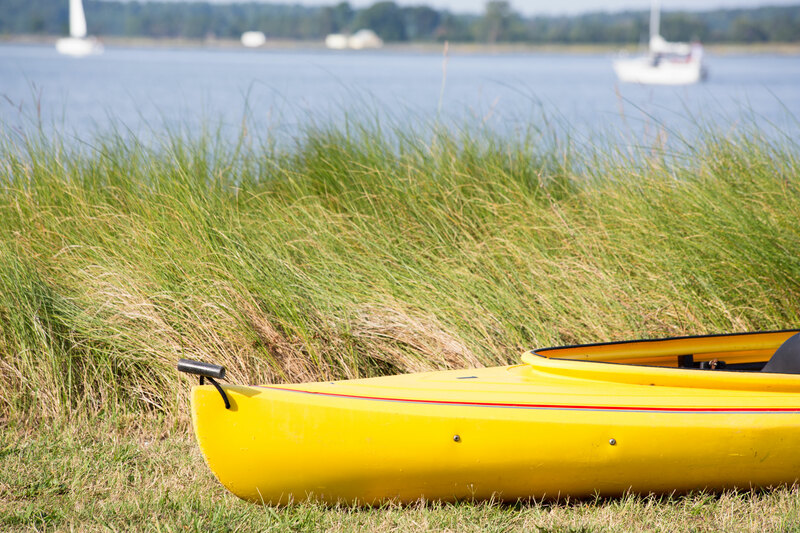 Have your kayaks delivered straight to Sandaway Suites & Beach and kick start your exhilarating day. 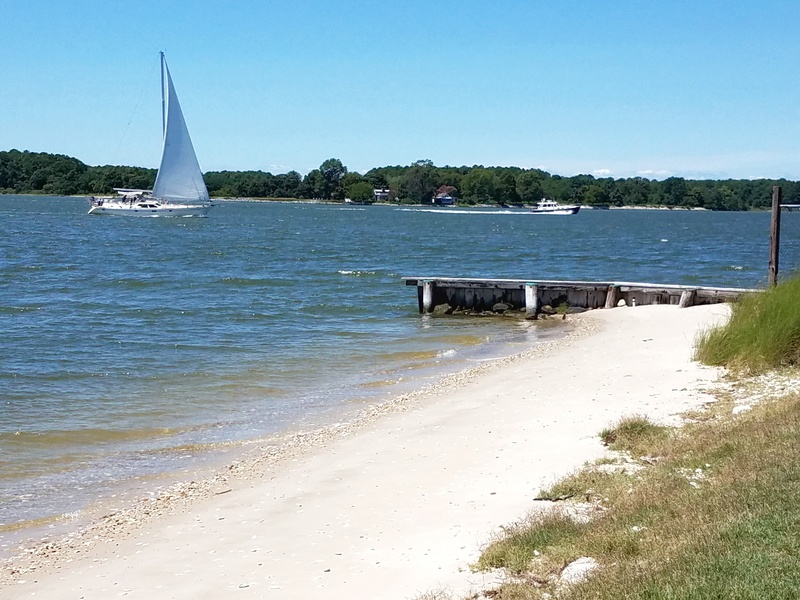 Interesting boat traffic from the Chesapeake Bay will pass by Sandaway. 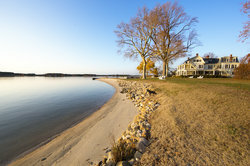 Steps from your suite, our private beach welcomes you to dig your toes in the sand at any point of the year. 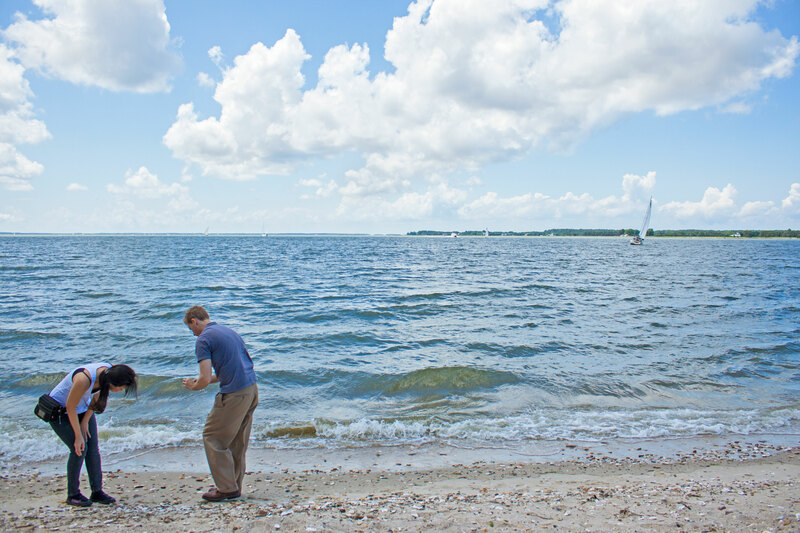 Our beach and breathtaking views make us the easy choice for couples. 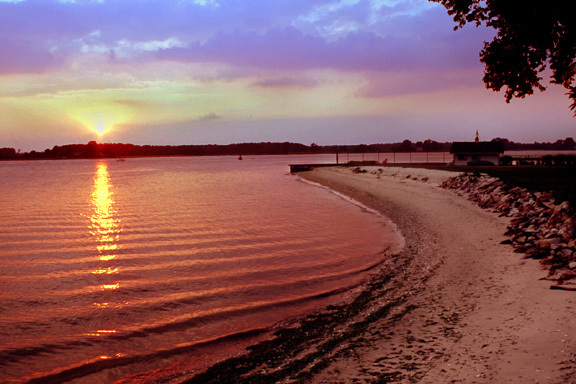 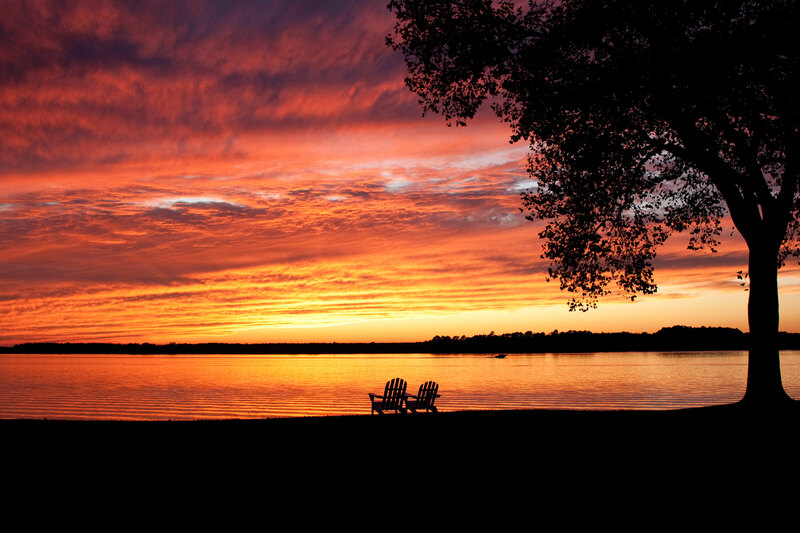 Cuddle up to your significant other while gazing at the stunning sunsets over Chesapeake Bay. 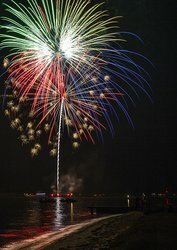 See a fabulous fireworks display from our private beach on July 3rd. 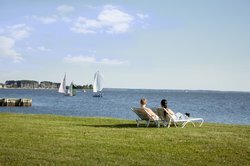 Relax with waterfront views and cool bay breezes. The Chesapeake Bay waters lapping on our shores. Sandaway Suites & Beach offers wonderful views from the beach. 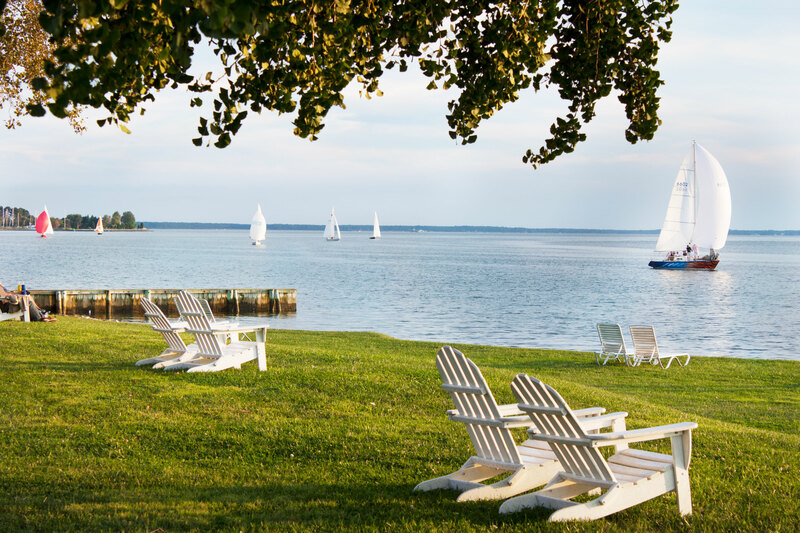 Breezes from the Chesapeake Bay are so inviting. 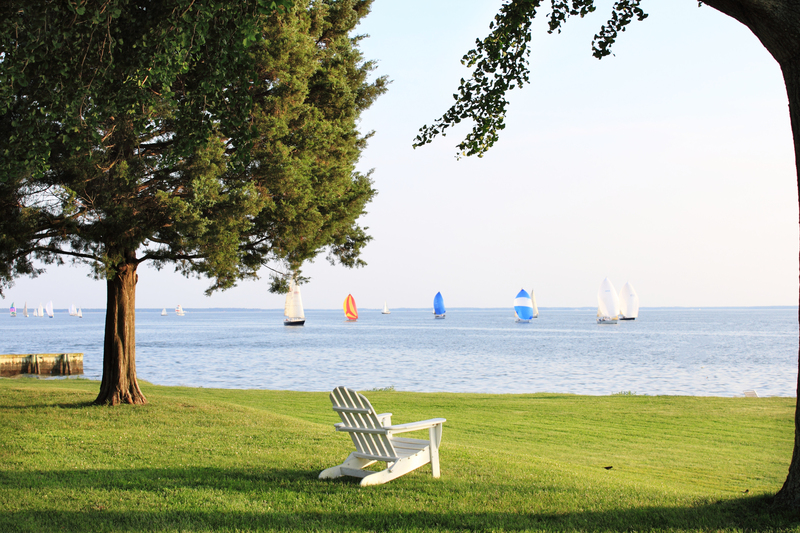 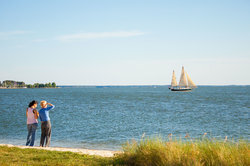 Many sailboats will leisurely pass by our hotel bed and breakfast guests. 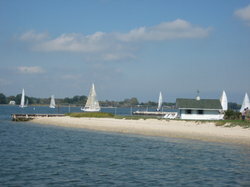 Sandaway Beach is private to our hotel guests. Sandaway Suites & Beach is centrally located for exploring the Eastern Shore of MD. 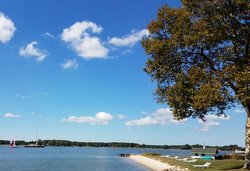 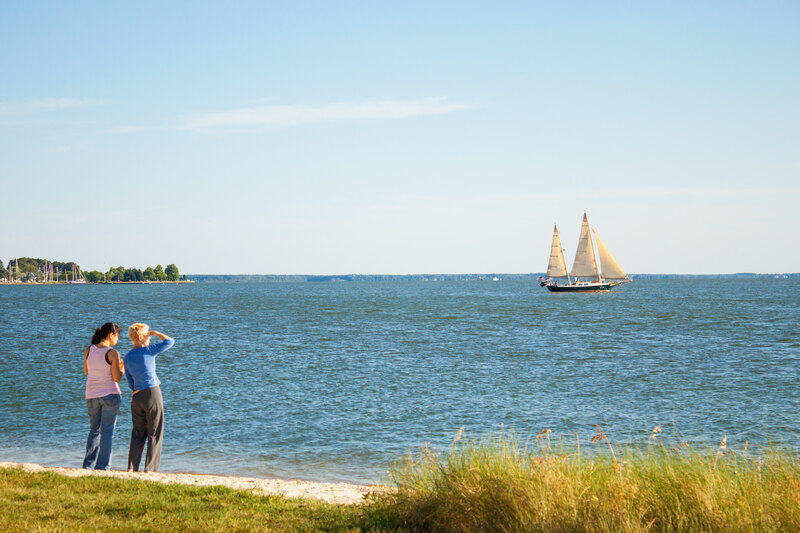 An authentic Chesapeake experience awaits you at Sandaway in Oxford, MD. 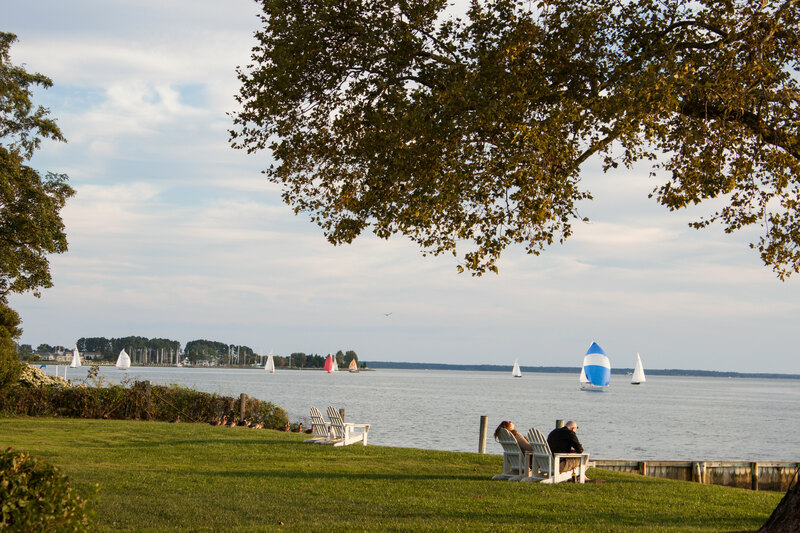 Nestled along the Chesapeake Bay, Sandaway Suites and beach allows you to experience the best shopping, dining, and nature that the Chesapeake area has to offer. 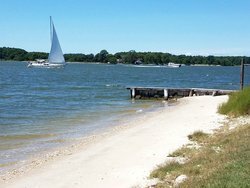 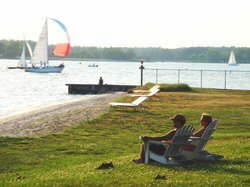 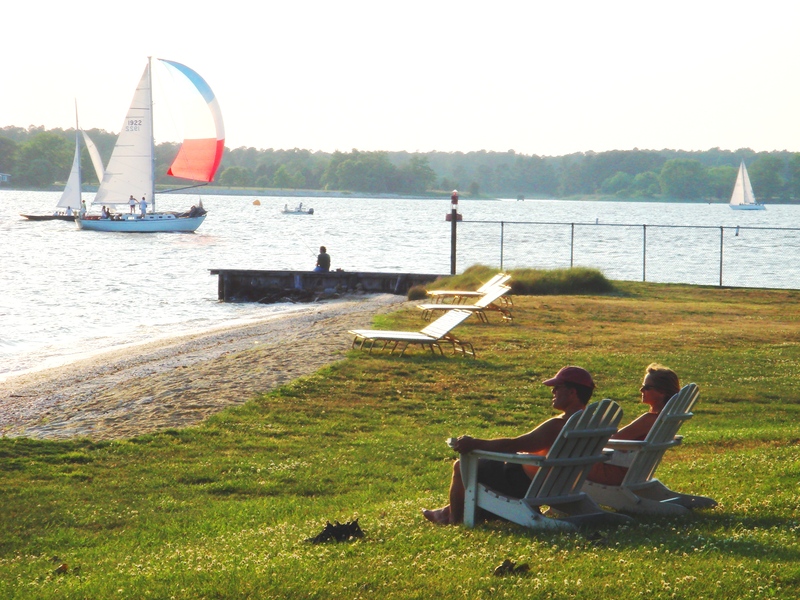 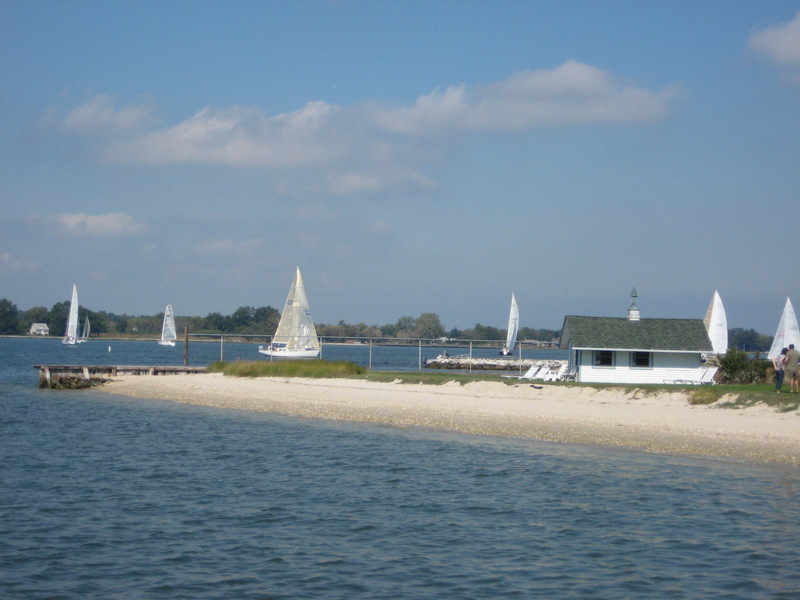 We are located next to the Tred Avon Yacht Club, so you should see plenty of sailboats. 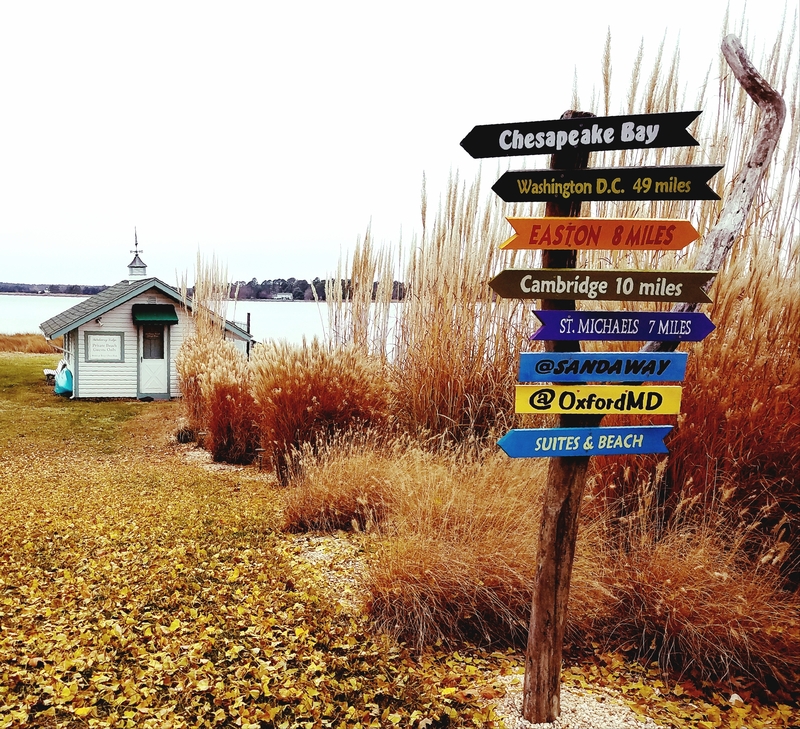 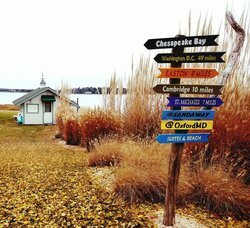 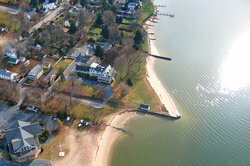 From our private beach you can see two Chesapeake Bay tributaries. 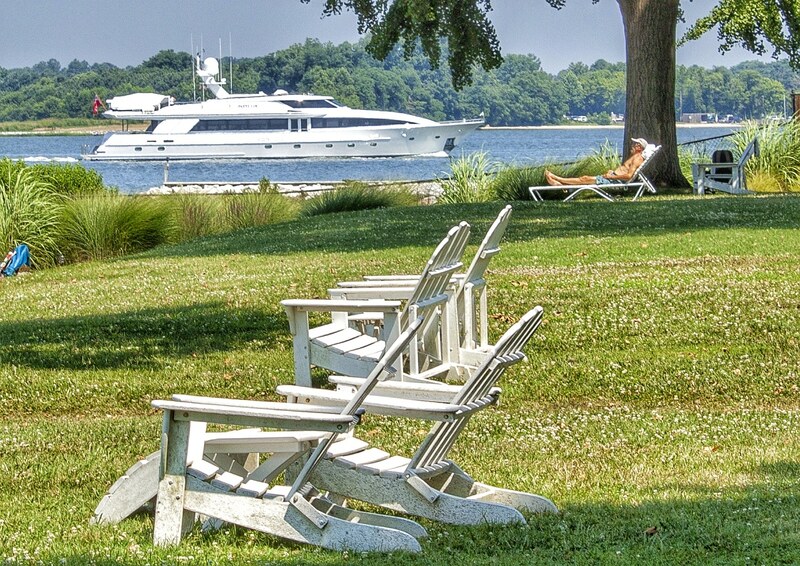 Relax in one of the many chairs on our waterfront lawn. Friday evenings are popular for sailboat races. 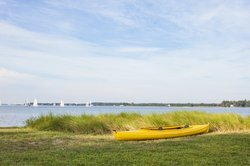 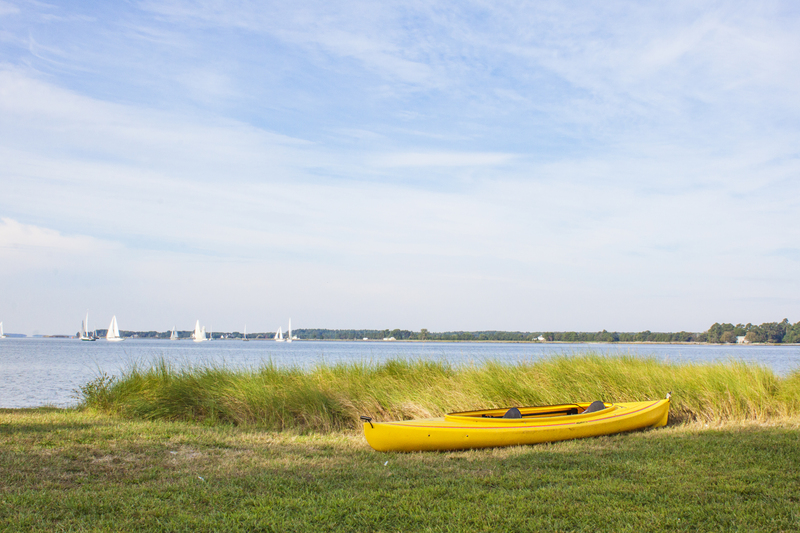 See the stunning beauty of the Chesapeake Bay region out on the water. 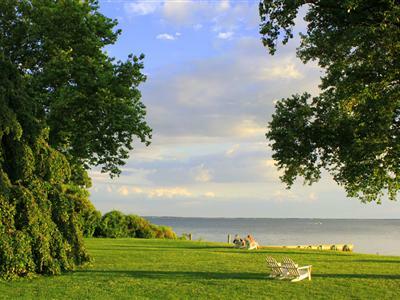 It is so easy to relax and gaze out into the bay. 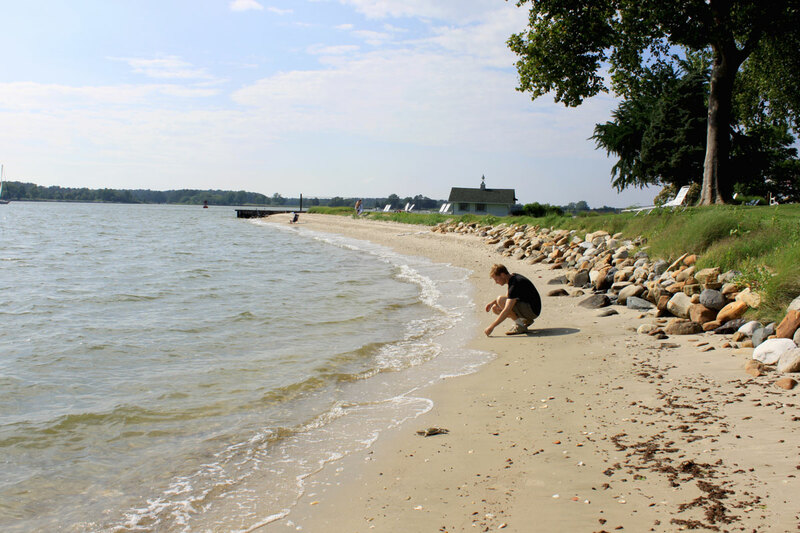 While experiencing your Chesapeake Bay vacation you could find some sea glass. Romance for couples is easy to find at Sandaway Suites & Beach. 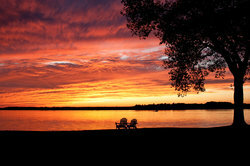 See some amazing colors at Sunset time. 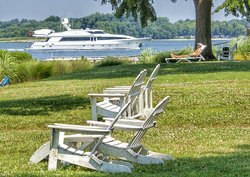 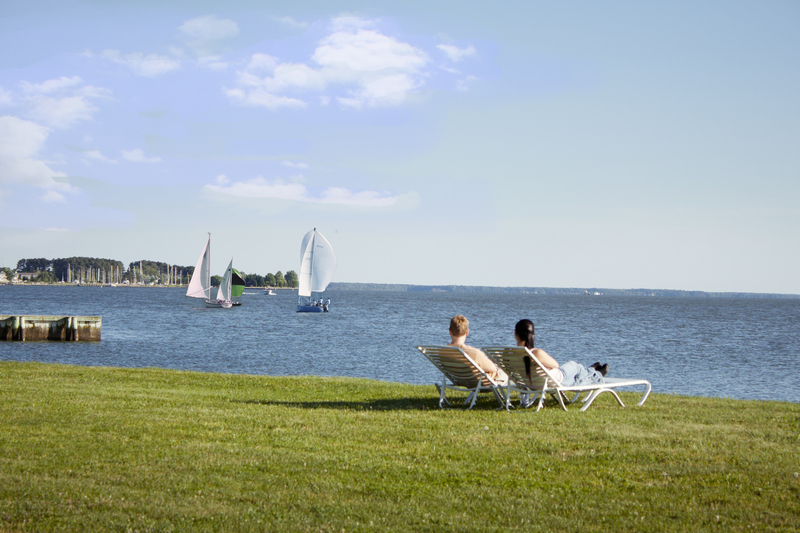 After a day on the water, relax on our waterfront lawn. 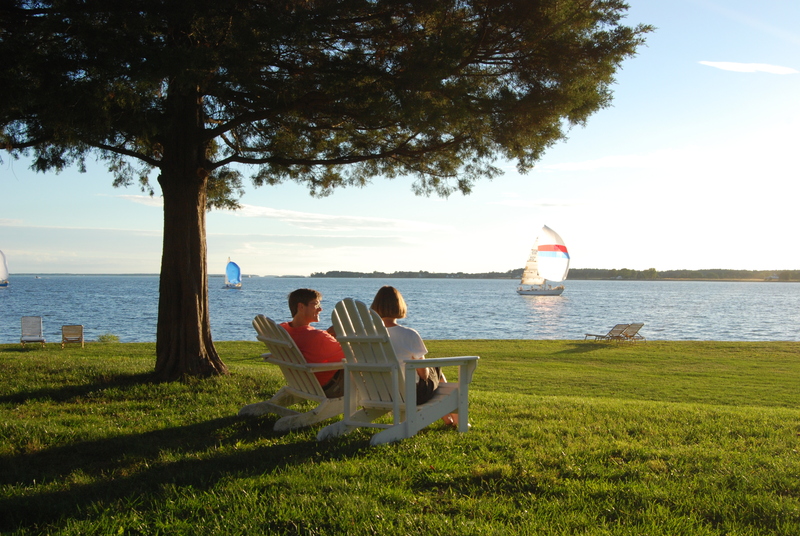 It is easy to find private seating at Sandaway Suites & Beach. 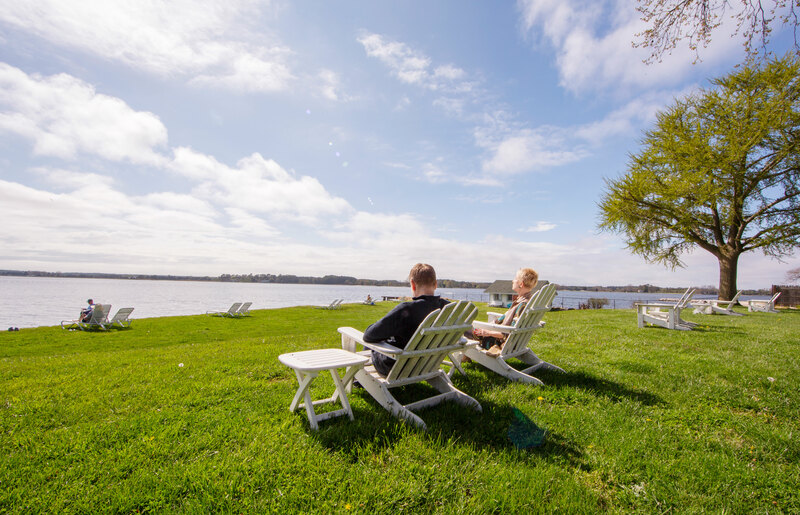 Relaxing chairs with stunning waterfront views are easy to find at Sandaway Suites & Beach in Talbot County, MD.